Home > Architectural Hardware > Registers & Grilles > Acorn GR1BG Grille 10" x 8"
Older homes with forced hot air heating systems need great looking covers for the air ducts that warm the house. Acorn cast iron resisters and grilles meet this need with the unique artistry Acorn brings to all their products. 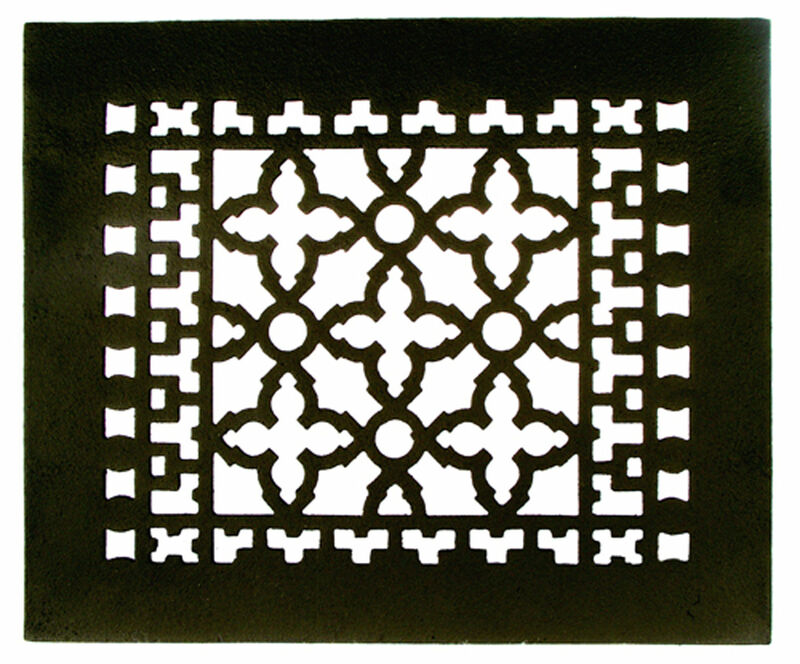 Registers and grilles come in a variety of sizes ranging from only 2-1/4” tall to 14” long. All sizes are available with mounting holes. Some styles include louvers to allow the vent to be shut.